Discussion in 'Fluff and Stories' started by Scalenex, Sep 28, 2017. Spoiler: Why Am I doing this? Big battles where giant armies fought in open fields trying to wipe each other out were rare because even when part of a large army, most soldiers didn’t want to die. Most of what was war then was fought via what we would call skirmishes. If a commander can have skirmishers kill one enemy and lose no men, that’s a good operation that they want to repeat. If a commander can have skirmishers kill five enemies and lose only one man, they are probably apt to repeat this too. If you can send some skirmishers after the enemy’s supply lines, even better. Basically the armies send out sorties who try to strike at the enemy then retreat back to camp or into their fortress. Repeat until one side loses enough that they give up and withdraw their forces. Sieges were relatively common, certainly more common than two massive armies fighting over an empty field. Castles let a small force hold out against a larger one and hold the most critical supplies and probably the enemy lords you are fighting. They are also a good place to launch your skirmishers from. How does this apply to Warhammer? Big pitched battles are a lot more common in the Warhammer world than the real world by a huge magnitude. Well, for one the game requires this to play, and the fluff writers prefer writing about big battles. But there is a cultural reason behind this, even if most writers do not think about it much. A lot of soldiers don’t mind dying. Daemons cannot die. Beastmen and the Warriors of Chaos don’t want to die, but they would rather die in battle than live in cowardice and they hope a good death will improve their afterlife. I’m not sure the Beastmen are mentally sophisticated enough to consider their mortality properly but they act like they want to die in battle. Most of the Vampire Count and Tomb king soldiers do not properly have free will and can be raised again an almost infinite number of times. The Orcs and Goblins don’t think very much of their own mortality. They don’t think at all about their comrades' mortality. The Skaven really don’t want to die, but they are more terrified of their masters and rivals than their enemies and major movers and shakers want to send their fellows to their deaths. Dark Elves do not want to die, but they grow up in a brutal culture. Given how likely they are to get their throat slit while they sleep just through daily life, they are going to be more prone to far more risk-taking behavior than real world medieval humans. Their code of honor, twisted as it is, makes them brave, or at least aggressive. They do not want to show weakness in front of their fellows. Since the Forces of Destruction are this nihilistic, this forces the Forces of Order have to be more willing to sacrifice their fellows for the greater good and to create a cultural sense of ethics that celebrates honorable death in battle. Otherwise they’d all have been wiped out generations ago. The Dwarfs have a double dose of this, but it’s a major part of all the forces of Order. Still official fluff shows the High Elves, Empire, and Dwarfs are more than willing to lure their enemies to fortified locations to gain an advantage in fighting them. The Chaos Dwarfs and on rare occasions the Dark Elves are the only evil sorts to ever really fall back on their fortifications semi-regularly. Brettonians have fortifications and use them, but since their fighting style excels in open ground, they probably are more aggressive than the rest of the Forces of Order in their defense. I’m not sure how to pigeonhole Wood Elves, and I’m aware I left out Ogres. Rambling prelude done. Who cares about these other races, what about Lizardmen? Would Lizardmen even bother create any long term fortifications for their Temple Cities at all? Before you say, "Well of course they have fortifications, they have lots of enemies and aren’t stupid." Hear me out. The two biggest threats to the Lizardmen were the Daemons and the Skaven, both caught the Lizardmen more or less by surprise. Both these foes spread unspeakable corruption in the wake and practice some form of germ warfare. In a sense, if the Skaven or Daemons reach the outskirts of a Temple City in numbers, the Lizardmen have already lost. If possible, the Lizardmen would want to defeat their enemies outside their cities. This defensive habit could carry over to other lesser battles against other races. Fight them outside of the city, lest they taint everything. Apart from the Skaven and Daemons most of the Lizardmen’s foes are not trying to kill the Lizardmen, they just want to grab some treasure. Attacking one of the Big Four Temple Cities with a treasure hunting force is suicidal. Casual invaders are going to go after ruined temple cities because the treasures are lot less defended there. A small force of Lizardmen defending a ruined Temple City would be able to defeat a larger force using their knowledge of the area and the cover for a bunch of hit and run attacks luring attackers deeper into the ruins and into ambushes, except for one thing. The attackers want the Skinks and Saurus to retreat deeper into the ruins. They can loot stuff in the outlying ruins unopposed that way. That means defenders of Temple City ruins would also try to defeat their foes outside the city limits to prevent sacred items being damaged or stolen. Lizardmen have a huge incentive to fight their opponents outside their Temple Cities, so they wouldn’t bother to fortify their cities much. Do you agree or disagree with this assertion? I imagine that the ruined Temple Cities that are on or very close to the coast have been picked clean by looters by the time of the onset of the End Times. On the plus side, most coast invaders would probably be inclined to leave the Spawning pools alone, so the Lizardmen could still use these ruined cities, they just don’t want to keep nice things there. Hexoatl is near the coast and cannot rely on jungle attrition to stop invaders, but Hexoatl is where Mazdamundi lives. Attacking Hexoatl is suicidal for casual raiders seeking treasure. Eventually word would spread not to seek treasure there. If there is a credible threat to Hexoatl, then that invaders probably aren’t seeking treasure, they want to decapitate the leadership of First Children of the Ones. Who would/could maybe threaten Hexoatl? The Skaven might be able to muster enough troops to take out Hexoatl, but during the Age of Sotek’s Coming, they started their invasion in the south and marched north. They never made it close to Hexoatl. Since their Lustrian subterranean holdings are centered in or near Quetza, most follow up attacks after Sotek’s coming is probably going to originate from Quetza either overland or in tunnels. In order to assault Hexoatl, the Skaven would basically have to decisively defeat Itza, Xlanhuapec and Tlaxtlan consecutively before they can attempt on Hexoatl. In which case Mazdamundi probably marched out at the head of an army marching south long before this would happen. The Warriors of Chaos might be able to take out Hexoatl, especially if the Lords of Chaos point out to the humans that the Slann are maintaining the fragile infrastructure buttressing reality. That’s a really long way to sail. A Chaos warlord who wants to raid some ruined temple cities or Kahoun can probably get away with relying on his own loyal retainers. To attack one of the Big Four, you need an exceptionally large army. When a Chaos warlord leads an exceptionally large army, said warlord certainly had to browbeat rival Chaos factions into obedience with naked force and promises of glory. It would be difficult to keep a disparate coalition of Chaos Warriors together that long without an external enemy to rally against. Such a coalition would tear itself apart on the long boring boat ride from the Chaos Wastes to Hexoatl. That’s probably part of the reason why the Warriors of Chaos seem to have tunnel vision at toppling the Empire. It's a short boat ride at least. Malekith is the greatest non-End Times danger to Hexaotl. If Malekith decided the Lizardmen really had to die, he could probably raise enough soldiers to do this. But here’s the thing: Malekith is obsessed with becoming the ruler of Ulthuan. When Malekith attacks somewhere that isn’t Ulthuan, he basically wants a near helpless target to bully just for kicks to give himself something to keep occupied and keep his minions battleready until it’s time to assault Ulthuan again. If Malekith invaded Hexoat, the casualties his army would suffer from even a victory would be so high that Malekith would be wide open to a surprise High Elf attack or at the very least delayed considerably from having enough men to attack Ulthuan. The High Elves are (hopefully) not stupid. They should have to have spies or scouts capable of noticing if half or more of the Naggaroth’s ships and black arks all sail off in one direction. Once they realize it’s not heading towards them, smiles all around. A cowardly or isolationist Phoenix Emperor might decide to sit this out and let the Dark Elves and Lizardmen duke it out. A more militaristic, globalist, or risk taking Phoenix Emperor would either assault Naggaroth while it’s relatively unguarded or they would sail to Lustria and try to pincer the Dark Elves. To do shameless plug to my own fluff pieces, if Hexoatl was even remotely close to falling to a Dark Elf attack, Mazdamundi’s political rivals would probably invite the High Elves in to fight the Dark Elves. Hopefully Mazdamundi would survive, then Merestar could tell him “I told you so!” for all of eternity. All this doesn’t mean Malekith won’t ever attack Lustria, it just means he’s probably not going to pick a fight with Mazdamundi--unless he’s convinced Hexoatl is sitting on a McGuffin that would guarantee victory over the High Elves. If someone wants to write a fluff piece about Malekith versus Mazdamundi, I’d like to read it. It’s like ninjas versus pirates. Unlikely to happen, but that’s a fight I want to watch! So the coastal ruined cities are basically indefensible and Hexoatl can maintain itself with naked force. What about everyone else? Most warm blooded invaders would have a hard time marching through the jungle. Disease, heat stroke, poisonous flora and fauna, maybe even malnutrition and dehydration if the invaders are inept at foraging. All these things will wear an army down without a fight. They also have to deal with predators and parasites which they probably have no training or experience avoiding. Even the mundane natural hazard of wet socks can wreak havoc on a marching army’s health. Lizardmen have the natural evolved advantages and lifetimes of training to let them traverse the jungles much faster and easier (and Skinks have a higher movement rate than most of their foes). Chameleon Skinks of course would be terrifying and hard to fight in the open jungle. Regular Skinks would be almost as good at hit and run tactics when in a swamp or jungle. In fact, if the soldier try to pursue the non-Chameleon Skinks that’s a good thing. You can lure the enemy away from cities and looting targets and possible lure them into brambles, poisons, and swamps. Terradons would be good for hit and run attacks and would be essential in tracking where the enemy army is marching. In addition to killing the enemy they can also sabotage the enemy’s sustenance. They scare away game and eat or destroy edible plants. They could even put appetizing looking poisonous fruits in places that are very easy for enemies to find ala Hunger Games. They can also lure or herd dangerous animals into the path of the marching enemies. This is how I think most defensive actions would go. Step One, Lizardmen identify where the invaders are. Step Three (A): All the invaders die. Step Three (B): The Lizardmen leaders deem that the invaders are weak enough that a large portion of them can be captured. Send in the Saurus and full armies to capture them for sacrifices to Sotek. Step Three (C): Despite all precautions, the invaders are uncomfortably close to a Temple City or another sacred site. Send in the Saurus and full armies to wipe them out. Would the Lizardmen have expansive roads? Probably not. The same roads that would help the Lizardmen move troops quickly would also help enemy troops traverse the jungle much easier. Since roads would only connect important places, they would also be a major road sign to help invaders figure where their treasures are likely to be. The logistics of maintaining brick roads solid enough to let Stegadons walk on them would be a pain, even if monsoon rains didn’t muddy and disrupt the roads every few months. So no continent spanning roads. The upside is the jungle remains an inhospitable death trap to invaders. The downside is Lizardmen from friendly Temple Cities or Kahoun would have a hard time reinforcing their allies very quickly, unless they know of the need for reinforcements far in advance. Boy, recon is important. This ABC defense strategy depends on knowing where the enemy is. Based on the things the Lizardmen have in their army, they probably have the best reconnaissance in the Warhammer world. They need this more than any other Force of Order. First and foremost you have Terradons riders. They can cover a lot of ground and the army books state they are good at flying around and in between trees. I’m betting Terradon riders probably do a lot more recon than fighting. In fact there might be some Skink riders that go through their entire lives without seeing one major battle. Presumably Terradon riders need to cover areas wider than a half-day’s flight away from home, so they’d have to camp out somewhere. Maybe Terradons are really good at making impromptu nests and are well trained enough to let their Skink riders share them. Otherwise, the First Children of the Old Ones would probably want to set up advanced bases where Terradons and their riders can rest in relative safety. Fantasy/sci-fi pterodactyls tend to live in trees, real world paleontologists generally believe pterodactyls probably nested on the ground. Depending on which interpretation you use, Terradon bases would either be literal watch towers or they’d be natural or artificial caves that either have concealed entrances or are doused in something that smells like something small jungle predators would want to avoid (Carnosaur urine, that trick was used in the movie Jurassic Park 3 and the show Legends of Tomorrow). Any Lustrian settlement is going to have Skinks going out in the jungle to look for food, medicinal plants, Carnsoaur eggs, etc. While they are gathering supplies, they might as well look for invaders. They cannot cover ground as fast as Terradons but they are in a better position to see indirect evidence of invaders. Tracks, dead animals, rotting warmblood corpses, remains of campfires, etc. A very skilled hunter can make educated guesses about foreigners moving through by examining odd behavior by animals. Any invaders can disrupt the natural patterns of plants and animals, but Skaven, Daemons, and undead would cause the biggest ripples. Some Skinks are probably patrolling constantly, like many Chameleon Skinks. Because ground patrols have to look for food and avoid natural hazards, they would probably be random and not tightly organized. This provides the randomness that regular Terradon patrols do not have. Then there is magic. Slann can do whatever they want, whenever they want. Sadly, Slann rarely want. But Skink Priests would be very skilled at magical reconnaissance. The Lore of Heavens is very big on magical divination. Tlaxtlan is built around diving things from the stars. Pretty much every Temple City has some temples and artifacts that help with divination and scrying, sometimes invasions are predicted centuries in advance on golden plaques. A lot of the monuments have names that suggest they would help with scrying or divination. “The Well of Time” and “Chamber of Visions” are only the two most obvious monuments on the official 8th edition map. Beast priests would pretty good at recon too. Presumably at least some of them can possess, control, become and/or talk to lesser animals. There is a wide precedent in fantasy for doing this and nothing happens in the jungle without an animal seeing it. But the Lizardmen have to have some fortifications, right? So I laid out my case that the Lizardmen despite being defensively minded, they would have an aggressive defense based on attacking invaders instead of hiding behind fortifications, but they got to have something. We Lizardmen are not fools. Let’s say the Lizardmen have a few days or a few weeks warnings of invaders. While the skirmishers are trying to nickel and dime the attacking army, most cities have a large workforce that be put to good use. I don’t know how historical accurate they are to medieval warfare but Warhammer Fantasy uses linear obstacles tall enough to slow down but not entirely stop invaders giving a modest advantage to the defenders. It’d be pretty easy to erect a wooden fence in a few hours. Defenders from ruined temple city could even rob stones from unimportant structures to surround the important things they do want to defend with makeshift walls. Pit traps, fields of sharpened sticks, and pit traps filled with sharpened sticks would pretty easy to do. Also, why not poison the spikes? Skinks poison everything else! You can also fill a pit trap with a swarm of poisoned spiders, hornet’s nest, or a small but easily agitated predator. In addition to pits, you could also have snares, caltrops, or falling object traps. Those they can be completed in a few days. If the Skinks and Kroxigor have a few weeks, they can probably make moats or other artificial bodies of water. Water bodies can hide spike traps or nasty predators. They can also help mobility. Since most Lizardmen are aquatic and most warmblood invaders are not, the defenders have an advantage if the defending area is damp. A spike trap can be washed away by one good rain. Same with most of the stuff above. Of the items above, a deep lasting moat could work as a long term defense but it’s a flooding hazard and might disrupt the natural bodies of water enough to taint or waste a city’s water supply with mud or other contaminants. Also, a moat slows the coming and going of Saurus warriors, Stegadons and other non-aquatic denizens of a Lizardmen city. Also, the water critters that move would be irritating if not dangerous to the inhabitants during peace time. A permanent moat, needs a permanent bridge, and your permanent bridge needs to be able support a Stegadon carrying a full load of supplies acting as a beast of burden. Plus a bridge needs to be defended against invaders using it. I mentioned the jungle being a good defense. One thing proactive defenders of a Temple City could do is to quietly encourage especially dangerous plants and animals over the years to live around a Temple City until the immediate area around the city is a death trap. There is a problem with this approach long term. Any dangerous flora and fauna in the immediate area of a Temple City, Kahoun or ruins is going to be a hazard to the inhabitants of said city, and the local inhabitants have to spend a lot more time in the surrounding jungle than any would-be invaders do. If anything, Lizardmen would cultivate less dangerous plants and animals in the areas surrounding their settlements. I’ll actually cover that in a discussion thread later. City walls are the most obvious defense, their use in the real world goes back way into ancient times. Lizardmen certainly have the technology to build them. There are lot of logistical problems. That doesn’t mean they wouldn’t build walls, it would just be really hard. The benefits are obvious. Here’s one, even if the Lizardmen use the strategy of meeting invaders in the field outside their temple city, they don’t want to risk a small sneaking force breaking away to make a sneaky run to steal something or poison something. A big wall will keep casual skirmishers out and looters out. Of our course walls are at their best when armed defenders are on top of them actively resisting invaders. They could provide height for Skinks to shoot from. They probably wouldn’t limit themselves to blowpipes and javelins. Bows provide better range. They could also drop rocks, fireleeches, boiling oil, blot toads, ceramic pots with wasp nests inside, poisoned spikes, and more. Basically Skinks could drop all the nasty stuff dumped out of real world medieval murder holes, plus they have access to the dangerous flora and fauna of Lustria. You’d also probably want some hoarding (extensions, wooden or stone that jut out from the top of wall). This gives defenders a better angle to shoot from and lets defenders simply drop things on enemies attempting to scale the wall or dig into the base, similar in principle to murder holes, but not called murder holes (murder holes by definition are in the ceiling). These very murder hole-like openings are called machicolations. Who needs a word of the day calendar when you have Lustria-Online? Given how much nasty things Skinks can dump out of murder holes, machicolations, a Lizardmen wall without machicolations is really hardly a wall at all. Crenulation (toothy gaps on the top with alternating full cover and half cover) and arrow slits would be good for Skinks to shoot things at range. True, an arrow slit could be used as a javelin slit, but when the enemy is that close it might be more efficient to just drop stuff on attackers rather than throw it, but old habits die hard. Getting the stone should not be a huge problem, the lizard use stone for almost every structure, what is one more big structure? If you want the walls to have strong battlements to let defenders keep attacks off and away from the wall, you would probably need to make the battlements wide enough to accommodate Skinks, Sauri, and Kroxigor. That’s a lot of stone, especially if you want to surround an entire city. The first logistical problem is letting the First Children of the Old Ones get in and out of the city. A wall needs gates. If the denizens cannot enter and leave they won’t be able to accomplish anything and will probably starve, but each gate is a weak point the enemy can exploit. You need at least one gate wide enough to let Stegadons, Carnosaurs, Bastiladons and the like through. A Bastiladon can’t exactly turn on a dime, so they’d probably need a gate considerably wider than their actual width. I’m not sure whether or not Lizardmen would have full access to the best castle technology, in this case I’m thinking of a gate house. Pushing through a gate house equipped with murder holes is brutal, but a Bastiladon sized gate house would be hard to secure. The Big Four Temple Cities might need more than one such gate, especially if they need to let their beasties out to hunt or graze. If you have a main gate where loaded Stegadons go through, that’s probably a high traffic area. Do you know what you don’t want to send through high traffic areas? Salamanders and Razordons. They need a quiet place to go in and out where they won’t accidentally go berserk and burn the citizenry to ash. A separate gate for warbeasts is another point of breach for invaders. The threat of unauthorized use might be minimized if it was a deep dangerous swamp. Warbeasts and their handlers could go in and out relatively easy, a hundred fully armored invaders would find it a miserable slog, but a lone assassin or saboteur that can swim probably wouldn’t mind sneaking in here. Besides regular patrols for recon, Skinks need to be able to come and go into and out of the city for foraging purposes. You’d at least need some redundant Skink-sized gates. These could be well hidden and probably could be sealed off pretty easily in the event of a major siege, but they would be vulnerable to letting invaders sneak in alone or in small groups. If the Skinks learned anything in centuries fighting Skaven, they should build a few “brilliantly hidden” secret entrances that a keen eye can find a subtly worn footpath to. These of course all lead to nasty deadly traps. A secret entrance that is actually used by Skinks should have a noise trap. That way no one enters or exits the city without the denizens knowing about it. Over the history of Lustria, the First Children of the Old Ones gradually were driven out or forced to abandon over a dozen major Temple cities and the survivors resettled in the Big Four. The Sauri, Skinks and Kroxigor will eventually shuffle their mortal coils, but whenever you get new Slann, you need to either build them temple pyramids to roost in or force existing Slann to take on roomates. Some of the ruined Temple Cities still have fully functioning spawning pools that means the Big Four will continue to get influxes of new Skinks, Sauri, and Kroxigor. What does this have to do with walls? Well the Big Four probably have limited abilities to expand up. They probably expand out. That means if a major Temple City built walls after the Great Cataclysm, they are probably going to have to expand beyond their walls. That means either you are going to have a portion of the city live outside the protection of walls, or the cities’ Skinks would periodically have to tear down their walls and put up bigger ones or (assuming there is NO shortage of stone blocks), a city can be layered with walls adding second or third walls as they expand. Or they could just decide that walls aren't worth the trouble at all. So Walls, Yay or Nay? What will the First choose to do? I think that depends on the placement of temple vaults, Slann chambers and spawning pools. These are irreplaceable resources. Granaries, beast stables, training fields, sacrificial altars, stadiums, Skink sleeping quarters, smithies, are all things that would be irritating to replace, but they can be replaced. If these irreplaceable resources are all clustered in the center of a city and the support buidlings are built around it, it would be easy and logical to build walls around the center of the city and just leave the rest of the city exposed. Yeah, it’s nice to keep the invaders out of the entire city, but as long as the inner city isn’t breached, the city can recover. If the spawning pools and temples are widely scattered and mixed in with the support buildings, then building a wall around all the irreplaceable treasures would be very difficult. As an added bonus to an interior wall, you don’t have to worry about defending and maintaining a gate capable of letting Carnosaurs and Bastiladons to march through. You can just keep your big dinosaurs outside the wall. You could also have a backup gate that’s usually sealed shut, but can be recommissioned if you have to get big dinosaurs into the inner city. On a matter of size. If a ruined Temple City did not have city walls before it was abandoned it probably will never get walls. If they used to have walls, new inhabitants might be able to repair existing walls, but they probably don’t have the labor force to build new walls. On the plus side, a reclaimed ruined city probably has a lot of expendable unused buildings that can be disassembled. A wall can be built with repurposed stones gathered a half mile away is a lot easier to building a wall from stones from a quarry hundreds of miles away. Having enough soldiers to man the walls would be tough though. A Kahoun (small Temple city) would have the easiest time using walls. They are big enough to have a labor force to build them and soldiers to man them, but since Kahoun tend to have stable populations, it’s unlikely to outgrow its own city walls. Once they build their walls once, they just need to maintain them. A temporary Lizardmen settlement that doesn’t actually have any temples or sacred things at all can probably get by with a wooden wall or no wall at all. My hands down favorite special scenario in Warhammer 8th edition is Siege Battles. I am hoping we get a similar official or unofficial scenario for Age of Sigmar soon. I have no problem garrisoning a medieval human castle with Skinks and Sauri on the table top. Fluffwise, I do not think Lizardmen would build castles remotely like those in the Old World. I borrowed some principles of castle design when I covered hoardings, crenulations, gate houses and moats. Anyone modeling a castle or wanting authentic medieval fluff should consider watching this ~30 minute video covering parts of the castle. I just don’t see Slann hiding in a keep. It would work at securing a Slann, but the Slann live in pyramids for religious and magical reasons. A stepped pyramid is not a castle. I do not see Lizardmen building or occupying a castle unless they are on an extended mission in the Old World, in which case they probably aren’t going to build a castle, they are going to try to capture one. Maybe the Lizardmen would build a simple keep that qualifies as a small castle. I doubt they would be used in Temple cities, but they could be used for purely defensive purposes like guarding mountain passes or other natural choke points. The problem is Lustria is really big and there probably aren’t that many strategically vital chokepoints. Does a Temple Pyramid double as a fortified structure? No, they are secure vaults for holy items, aids to scrying, seats of political power where Slann live, emergency spaceships (mahrlect End Times writers), and places of worship. You want more? A stepped Temple can provide high ground which is nice for defenders, but it’s not much of a barrier. It cannot create an artificial chokepoint and it doesn’t really provide much aid to Skink shooting. It does provide height to shoot from but I’d match rather throw javelins down off the edge of a compact rectangular tower than try to hit something way on the bottom of a stepped pyramid from the top, especially if it’s a blowpipe or thrown weapon. If the enemy gets close to a pyramid, the First probably want to seek a magical solution, or else they probably already lost. This piece is part of a series. If you like this, this piece covers the peaceful material side of Lizardmen life. This thread covers Lizardmen religious practices. Workschmock, Sreeves, ChapterAquila92 and 7 others like this. Oh dear that's a lot of text. I haven't had the time yet to read all of it, but I did read about half if it and I agree with most of what you said. I partly disagree with the roads though. A road is a death trap for an attacking army since it is open space and you cannot see what is right and left of it, while defenders (especially flying ones) can spot you very easily. So it is considerably less useful for the attackers than for the defenders of the Jungle. In a pinch the defenders can just destroy the roads partly to prevent the attackers from using them. I will read the rest of your post soon. If you like this, this piece covers the peaceful material side of Lizardmen life. This piece covers Lizardmen religious practices. HeirofCarnage, Warden and Slannta's Little Helper like this. Lizardmen and stone walls. Yes. White Dwarf article from years back showing a LM fort. Lizardmen roads and causeways. Yes. But not very useful to outsiders because of geomancy. LM caravans or Armies following roads within Lustria get to jump large distances because segments of the old geomantic network still work. Outsider forces like Pizarro's Legion (and others) discover the same roads to be deathtraps ...Leading to ambush sites ...or just dead-ending at impassable morasses of swamp. Warden and Slannta's Little Helper like this. Wow there is a ton of stuff on this thread, thanks @Scalenex for writing all of this, please make sure it gets added to the fluff index! I am of the opinion that the Lizardmen would have built walls, though they probably were not of a large enough size as to prevent a "medieval" force from knocking them down with artillery. Since the original temple cities were founded as bases of operation, to send for the saurus legions across the globe, it is unlikely that anything except the city-centers actually had walls, but then again they might have? I will need to do more research and thinking on this topic. I do love the "defense in depth" concept of the Lizardmen not using walls, simply because of the dangers that lurk within the jungles, and the ability of the Lizardmen scouting parties to keep the enemy away and fight them on terms of their choosing. Maybe a combination of both? I will also check out some of the real-world parallels, see if I can find anything. Reasonable conclusion. I'm still not sure if a road is worth the effort to build and maintain. Any road is going to have wear and tear from Stegadons walking on it and wear and tear from regular monsoon rains over relatively soft loamy soil. A compacted dirt road would be pretty easy but a road made with ceramic or stone bricks would take a lot of labor to build and maintain. If you have brick roads, the yellow paint would need to be reapplied often. "We're off to see the Lizard, the wonderful Lizard of Oz." If the roads are magic, then of course they would be worth the effort to maintain. That would be a huge defensive resource worth the effort. It would also help meet mundane supply and logistical issues. Ok I have done a bit more research on if the Mayan cities had walls... and I was shocked to find out that most did! I had no idea. Most walls were pretty small, compared to European standards because they didn't have siege weapons in those days. Most of the walls were built to keep invaders out of a city, but under a concentrated attack the walls could have done little to stop a determined force other than to slow them down. In addition, while many older cities such as Tikal did have walls around some of the key parts of their city center, most Mayan cities didn't start building walls until closer to the actual Classic collapse; that is ~800-900 AD and beyond. I have been there and I totally missed the walls. They had gates covering all the key entrances to the city along the roads, but they weren't gate houses so much as gaps in the walls. Nowadays most of the walls are completely gone, probably taken apart by attackers or by locals who wanted to build their farmhouses. In Lizardmen contexts, these walls could make sense. They are simply to delay an opposing force and canalize them along a specific avenue of attack: through the entrances, where you can be sure they will have plenty of troops waiting to ambush them as they enter the city center. And these gate gaps could easily be built to accommodate a giant stegadon carrying building materials. This was the example that I always think about when I think of Mayan walls. Dos Pilas has a fascinating history that would take too long to recount here, but the fall of the city is very interesting. I remember reading that National Geographic article as a kid. Truly a dramatic story. I have been working on a sequel to my Sacred Spawning story that draws inspiration from the downfall of Dos Pilas, but it has been on hold for a while now. Now I haven't seen an aerial photograph of the city, nor some accurate maps, but the basic jist I gather from this photograph and from what I have read was that Aguateca was built to be a defensible stronghold. Wooden and stone walls defended much of the city, and the only way to assault the city (by land) was crossing over a cliff. and some wooden bridges. It would make sense that the Mayans (and therefore the Lizardmen) would use the natural terrain enviornment in all their defensive planning. Ultimately this strategy too failed due to numbers: they eventually were overwhelmed, and another mass grave site was found at Aguateca, though this one was filled with the burial of many rich occupants bedecked with jade; a sign that members of the royal elite had met their doom here. In my opinion Aguateca strikes me as what would have happened to the retinue of the Slann when they met their doom. The Lizardmen weren't stupid; on the onset of the Great Catastrophe they would have retreated to strongholds (such as Xhotl in the mountains, home of Kroq-Gar) in order to defend themselves, while abandoning smaller sites (such as my token temple city, Mutal) to their fate, since they were ultimately indefensible against the streaming Daemon hordes. But in many cases, like Aguateca, the defenses would simply have not been enough to stop the Daemons, because prior to this point Temple Cities were built as bases of attack; staging points for the saurus legions to strike out across the globe, not bastions of defense. They didn't have to become bastions of defense until after the Great Catastrophe was already underway, meaning the Lizardmen had to fall back into the biggest and most defensible cities and make their desperate stand against a foe they were never preparing to defend against. I do mostly agree with this statement. Pyramids are a very basic shape, so it would be difficult to defend them, unless you are perhaps talking about the passageways inside them. Sure the temple at the top would fall pretty easily, but what about all the tunnels leading down into the crypts or the saurus spawning pools? Modern-day Urban warfare is so dangerous because when it comes to clearing a building of enemies, there literally could be an enemy lurking in every hallway, behind every doorway, in every room. I would gather that while the initial breach of a Temple's defense would be swift, it would be a grinding battle of attrition for any enemy forces to be able to punish their way down through all the interior levels of a temple pyramid before they could consider it truly conquered. It's nice to know we have a historical concept. I have been there and I totally missed the walls. They had gates covering all the key entrances to the city along the roads, but they weren't gate houses so much as gaps in the walls. Yerch, Given the unending hordes some Forces of Destruction can provide, I can barely picture someone building walls without gates. That seems like a lot of work for a small payoff, but I guess Kroxigor are going to do most of the literal and figurative heavy lifting and they won't complain. Then again I'm not sure what a Lizardmen gate would look like. I am working on a lengthy discussion topic on how Lizardmen settlements are set up. If Lizardmen are re-occupying a ruined Temple City to defend the remaining sacred sites and objects I figured they could erect some crude walls by demolishing non essential buildings. It's good to know there is historical precedent for that as well. You definitely have a point about the gates. I made some stone ones for my jungle fortress, it could be something like this, but they would have to be bigger. These ones aren't quite large enough for all the flags and standards to go through on the back of a stegadon. I do really like the ones from the games day setup though (lower left-hand corner), I think that something like this would be practical for a "stegadon entry" gate, as long as it was high enough? A big portcullis would probably be useful, but even that wouldn't last forever against some determined defenders. Skinks are aquatic. Skinks are at home in the trees. Swim under the wall through underwater passageway...then proceed as above. They scale the vine covered walls with ease for ingress or egress. C) To return foraged material to the city without small postern gates: Kroxigor Powered Lifts / Dumbwaiters are used. A Skink with a eighth cord of firewood approaches the wall, two Krox lower a bamboo lift; in goes the cargo; they haul it up...the Skink requests a basket & heads back out (he spotted a Harkleberry™ Bush). HeirofCarnage and Warden like this. There really is no such thing as a Lizardman Navy. But mostly, the open seas have been left to the lesser races. Principally, Elfses and Hoomans. Why is this? A Navy or at least a Coastguard to keep the looters at bay, or at least off-shore, seems like a grand idea. There should be Archer Towers. Because reasons. HeirofCarnage, Warden, Crowsfoot and 3 others like this. I like C, I dislike B. Ease of ingress or egress is exactly what walls are supposed to prevent! Invaders can climb those same vines. You might as well build a wall with ladders on it! I'm ambivalent about A. An athletic Skaven assassin could probably swim through it, but a full scale invasion wouldn't really be able to use it, unless Fimir or undead were attacking. HeirofCarnage, Crowsfoot and Warden like this. All of these climb ^ poorly; whereas Skinks climb superbly. That was the buried headline. I only tossed in "vine-covered" because that is what happens if a stone wall is built in a jungle. Something like Lustrian Ivy is gonna happen. But, Prior to a siege, teams of low-level Skink Priests (let's stipulate some that are too lowly to be trusted with the lowest casting value spell) are sent around to clear the wall exteriors. They have a cantrip: Wither. They get to cast it over and over and over. There is probably a short story ^ idea in that somewhere. Crowsfoot, Warden and tom ndege like this. I agree Lizardmen don't have much of a blue-water navy (ocean-going), but as far as a brown-water navy (rivers/inland), they have a plenty of unit entries that could work, plus plently of aquatic troops to be used in river-crossing or inland waterborne attacks. Probably true, but I wouldn't exclude all gobbos; they are sneaky gits. Sure most of them can't climb, but I am pretty sure forest goblins would be able to move almost as fast as skinks in these kinds of enviornments (a bit slower) but be nigh unstoppable going up a wall as soon as they bring along some of their spider-riders. I think those things had rules where they could climb up sheer walls on the tabletop? That is true! Those wretched [Night?] Goblin Spider Riders could go vertical. I have some of those models. Do you suppose Lustria is a spider-free jungle? I'm pretty sure every forest and jungle on the planet has spiders in it. In my fluff universe there are lots of big jungle spiders, including populations of big spiders ridden by jungle Goblins. The Derelethi spiders are used by Lizardmen. The Derelethi eat primarily poisonous prey and their own poison will neutralize other poisons, so Derelethi venom is dangerous on it's own but becomes an antidote in the right circumstances. That said, spiders could scale city walls with or without vines. So could flyers, walls can't stop everything. It would be pretty easy to cut down vines before or even during a siege. I'm more concerned about lone saboteurs, thieves or assassins particularly when an attack is unexpected. Skinks can get in and out with rope ladders, and they don't have to be left hanging down when there isn't a Skink asking to come up. Jungles have swamp land would they use swamps as a defensive tool? I'm more concerned about lone saboteurs, thieves or assassins particularly when an attack is unexpected. Skinks can get in and out with rope ladders, and they don't have to be left hanging down when there isn't a Skink asking to come up. That is a good point; lone and highly-skilled assailants would not be stopped by walls, having the benefit of skill, time, and silence on their side, but I don't think there is much that architecture can do about this. These enemies would either have too much skill/plot armor to be defeated by simple walls, I think the only thing the Lizardmen could do is post more guards/have more frequent skink patrols around the jungle perimeters. Or maybe some alarm-lizards posted on the walls that squawk whenever something gets close? Like dogs barking, except a reptilian version? Swamps are miserable for large groups of soldiers to move through, unless they are used to fighting in that terrain they will get bogged down so they normally avoid it entirely (counting it as impassible terrain). I did a report on the Battle of New Orleans this year (Brits vs. the Americans) during the war of 1812 that gives a great example of how swampland can play a role in battle. The British troops were encamped between a canal to their west, and a swamp to their east, with the Americans fortifying their positions to the north. The canal and river were naturally impassible for massed infantry to cross, and the swamps were equally impassible (see Louisiana bayou). Prior to the battle, British had been counting on receiving Native American reinforcements when they landed in Louisiana, but to their dismay the local Indians had already allied with Andrew Jackson and the American cause. Each night the British soldiers posted at guard positions along the east of their encampment were attacked by Native American tribesmen sneaking up under the cover of darkness through the swamps. The rest of the British would be awoken to find many tents and supplies set on fire by the sneaking skirmishers, and were kept awake all night fearful that they would be murdered by the Indian swamp-fighters in their sleep. Each morning the Brits would wake up and many guards along the eastern flank would be found dead: throats slit. Things got so bad that guards were put at their posts with two, three, or as many as four guards in one location in order to ensure they didn't get killed during the nightly swamp raids. Ultimately the Native American swamp-fighters did little in the grand-scheme of casualties suffered in the greater conflict, BUT their psychological impact (being able to attack from impassible terrain, and refusing the enemy the ability to have a good nights sleep) did impact the British soldiers as the battle progressed. Scalenex, HeirofCarnage, tom ndege and 2 others like this. I try to use it in actual table top games, when we set up terrain I try to be the one to place down the marshes. Skinks, Salamanders, Razordons, and Kroxigor can freely enter and exit these features while most of their enemies cannot. I don't see why Lizardmen. 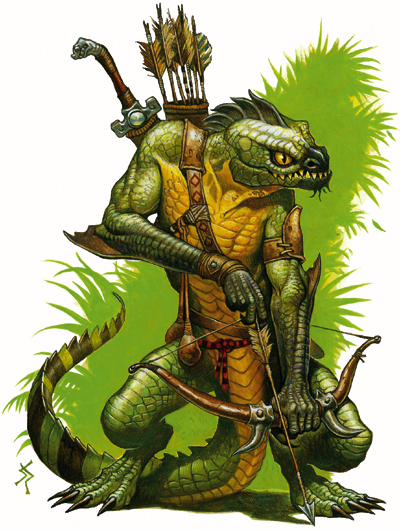 On offense or defense, Lizardmen would want to engage enemies in or near swamps if they could help it. I would assume that the Walls originally were meant less for defense from enemy armies, and more to keep the many carnivorous species in the jungle from wandering by and deciding to make snacks of the Skinks and Saurus inside the city. when actual enemies appeared, they probably beefed the walls up to help buy time for the Saurus and other defenders to fight off said enemies. Warden and Paradoxical Pacifism like this.